Description At the beginning there was a requirement to display images on a page in a popup (colorbox, etc), but depending on the page parent in a different style. With this page module and the respective presets, it was simple. Instruction to the user: when creating a new page, add first the media_preset module, then the WYSIWYG module. In Media preset module, select the respective parent preset and save. Then go in WYSIWYG module and enter your text and images. As you can see in screenshots, the fields available for admin users and normal users differs. 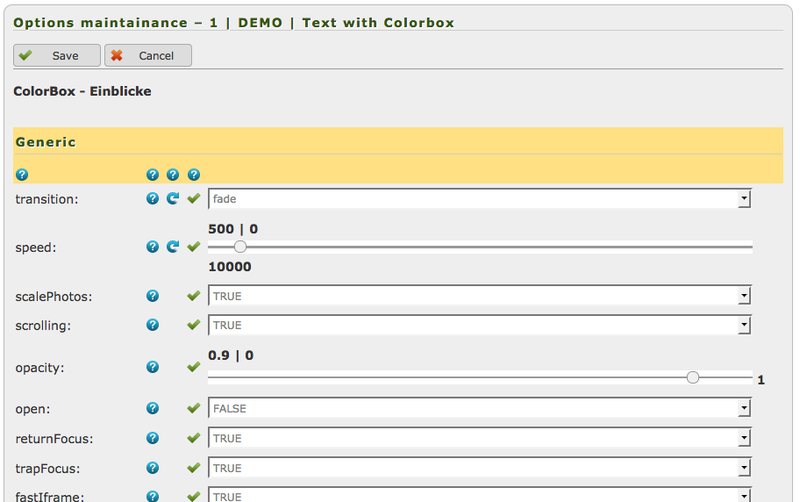 You can easily change the fields visible, see README files inside the module. as well as some presets.